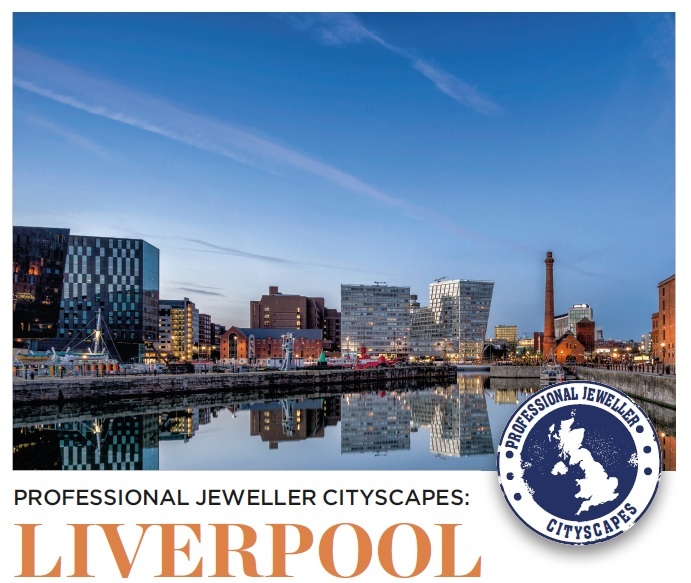 Professional Jeweller ended its 2017 series of cityscape in Hull – the UK City of Culture – and for 2018 we have began in Liverpool, where we visit jewellery retailers ten years after its tenure as the European Capital of Culture. Being named European Capital of Culture is an opportunity for an area to generate considerable cultural, social and economic benefits and it can help foster urban regeneration, change the city’s image and raise its visibility and profile on an international scale. Despite taking place during the financial crash, as with Hull, Liverpool’s year as European Capital of Culture earned the city bumper visitor numbers and a multimillion-pound boost to its economy. According to a report from Liverpool’s universities, which took five-years to compile, the festival year saw 9.7m visitors descend on the city, and generated £753.8m for the economy. In addition, media coverage of Liverpool’s cultural attractions doubled, and for the first time in decades, initial impressions of the city were replaced with a picture of a vibrant cultural hub. During the same year, the city also welcomed one of Europe’s leading retail and leisure destinations — Liverpool One. David M Robinson was founded in Liverpool, and still has its flagship in the city. Built around the existing streets of Liverpool, the 1.65million sq ft contemporary open-air complex, which hosts restaurants and shops such as Debenhams, Topshop and John Lewis, transformed the city’s retail scene. 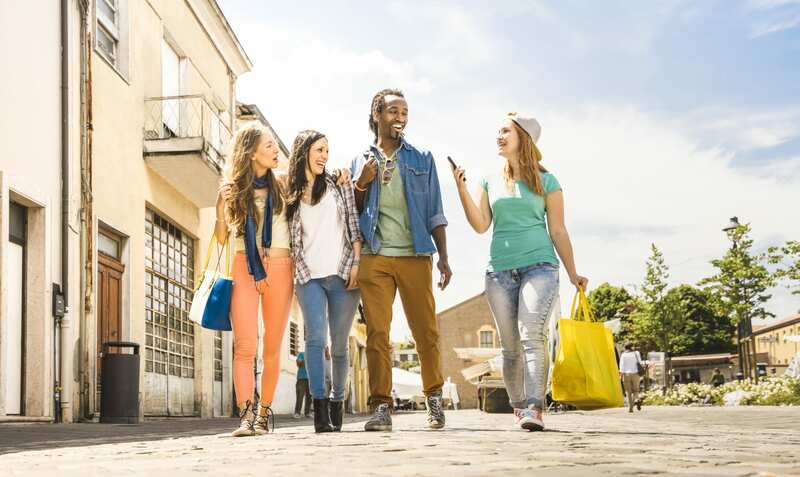 Liverpool One brought Merseyside’s shoppers back to the heart of the city and attracted brands that have elevated its retailer offering to contend nationally. While the shopping complex has spelled a variety of changes for the independent jewellers of the city – depending on their locations – the majority agreed Liverpool One has been an extremely positive addition. Visiting Liverpool a decade later, it’s hard to imagine a time when Liverpool was anything other than the vibrant and friendly metropolis it is today. During our trip the high street was busy, despite visiting mid week on a couple of freezing cold days, and independent jewellers spoke about the city with nothing but fondness. In terms of retail, the majority of jewellery retailers are a stone’s throw from each other. Inside Liverpool One resides national chains Goldsmiths, Ernest Jones, and H Samuel, alongside a Pandora and Swarovski boutique, and independent jeweller David M Robinson. Just outside the entrance on Lord Street, Boodles can be found in the very building the company bought in 1920. 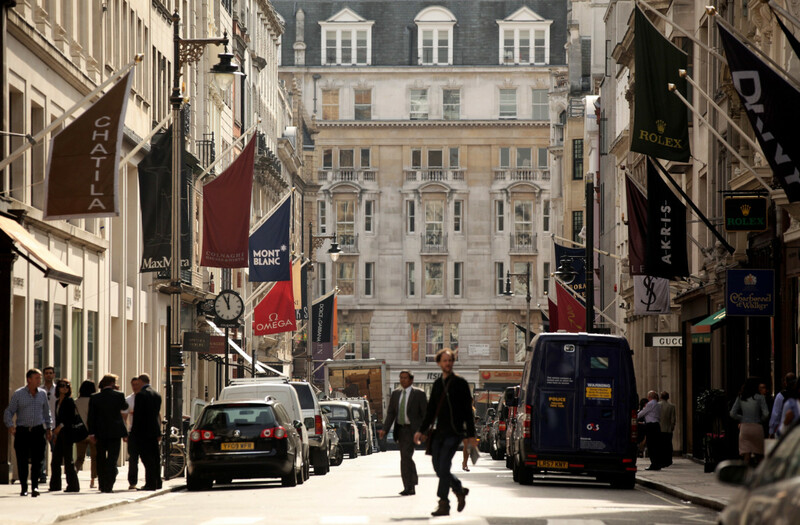 Lord Street merges into Church Street, and together they form two of the main shopping roads, alongside parallel streets John Street (home of Stephen Jones Jewellers) and Whitechapel, where Wongs trades in the city. Off of Whitechapel is The Metquarter shopping centre, which houses a Links of London concept store, and independent jewellery fashion retailers Mococo and Olivia Divine. Other independents, such as Brown & Gold, can also be found in streets a little outside of the main retail hub. For many of the jewellers with more than one store, Liverpool is extremely important. For most, its where they started, and have chosen to keep their flagships, while for others it’s where the owners always dreamed of ending up and they couldn’t be prouder to be represented in the city centre. As luck would have it, when Liverpool One opened in the city, Boodles couldn’t have wished for a better location as, despite being bought over 80 years prior to the opening, the luxury jeweller is right on the threshold of the complex. Boodles has been trading in the same location since 1920. For independent jeweller David M Robinson, the company’s founder started working as a goldsmith in a humble city workshop 50 years ago. While the city reverberated to the sounds of the Beatles, Robinson was quietly learning his craft and building a reputation on innovative design, unparalleled craftsmanship and integrity. This talent blossomed into a jewellery retail business, which now employs more in-house goldsmiths than any other jeweller in the North of England. While the company now has showrooms in London, Manchester, Altrincham, and Southport, Liverpool is still the home to its flagship and remains at the core of the David M Robinson jewellery business. While David M Robinson has moved around the city a bit, the store is now firmly rooted and happy to be in a prime location inside the Liverpool One complex. The jeweller has been there for the last nine years. “That’s testament to our staff members that have been here over 40 years and customers have grown to know them,” adds PR and social media executive, Jamie McFadden. “We weren’t always in a position where we could get the best location or the best showrooms, but we knew that we had the staff to make a point and that’s how we stand out. For Mococo, Liverpool is the largest city the independent fashion jewellery retailer is in, and the one place the founders always dreamt of being. Like David M Robinson, and other jewellers in the city, Mococo has moved from a small boutique to a larger one during its time trading in Liverpool. Now the fashion jeweller is located in The Metquarter shopping centre. While at first this was a fantastic location for the independent fashion jeweller, a lot of trade has been taken away from this area of town since the opening of Liverpool One. Not only did the brand new shopping complex steal consumers from The Metquarter, it also led to brands moving out and as a result the centre is only half full. 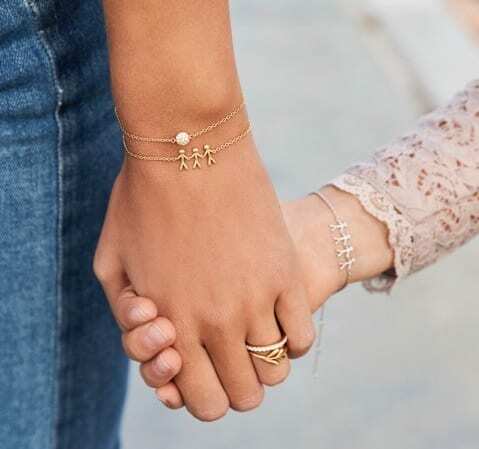 While a cinema is meant to be taking up residence in the noticeable gap, Mococo – whose bestsellers include Pandora, ChloBo and Thomas Sabo – is looking to move to a more prominent location this year. At present, Mococo dominates the branded jewellery market in Liverpool, with the majority of jewellers in the city focusing on fine goods and bespoke jewellery purchases. Mococo dominates the fashion jewellery market. 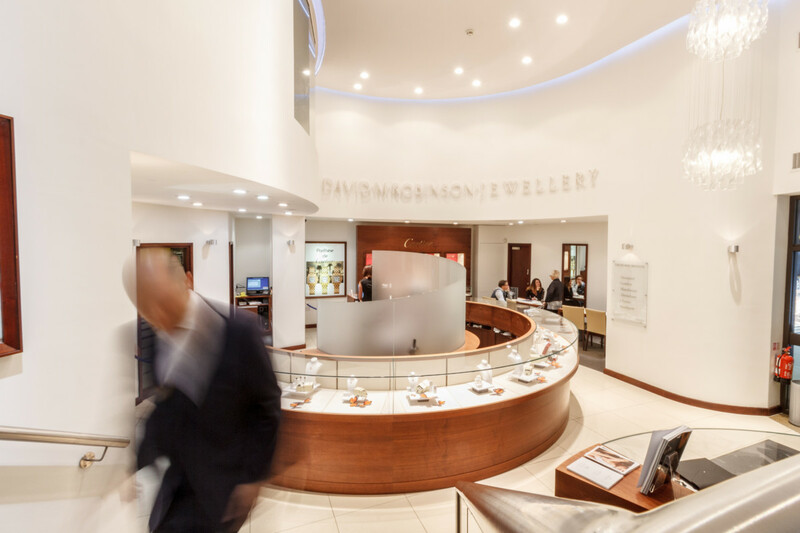 Wongs Jewellers, which is located near the entrance of The Metquarter, used to sell branded goods, but decided to return to its roots as a traditional jewellers earlier this year. Prior to making this decision, branded jewellery didn’t form a massive part of Wongs’ business. As such, customers have responded well to the jewellers radical transformation. In terms of location, Wongs has been in Whitechapel since 2010. While business is still good for the jeweller, because its customers are used to travelling to Wongs as a destination boutique, the managing director says that the drop in stores and footfall in The Metquarter has changed the atmosphere in the area. For Boodles and David M Robinson, the popularity of Liverpool One has boosted business for the two stores. When discussing the challenges jewellery retailers face in Liverpool, Amos cites the quick train to London as its biggest obstacle, alongside the internet and rival cities. All in all though, the majority of jewellers are extremely pleased with how business has been on Liverpool high street and are confident 2018 will be another triumphant year. For many, the success lies in excellent customer service, which marries knowledge with friendliness, and leaves many popping in just to have a cup of tea and spend time with the staff. Family-run jewellery retailer, Brown & Gold, which is located just outside the main shopping centre near Liverpool Lime Street station, says business in the city has “peaks and troths”, but his amazing workforce keeps customers coming back for more. Despite never moving, Boodles has always been in a dominant position during city transformations. Even though the business has grown significantly, with the jeweller now trading from eight branches, the family feel of the company has not changed. The director encourages total honesty among the team, and gathers everyone together once a year for a celebratory party. In the city, Brown & Gold is more of a traditional jewellers, with a wide selection of pre-owned jewellery and watches, which result in strong sales for the store. With business going well, the company is now looking to expand further, and has a particular interest in taking over from jewellers looking to retire. Elsewhere in the city, Wongs Jewellers has also been going from strength to strength. 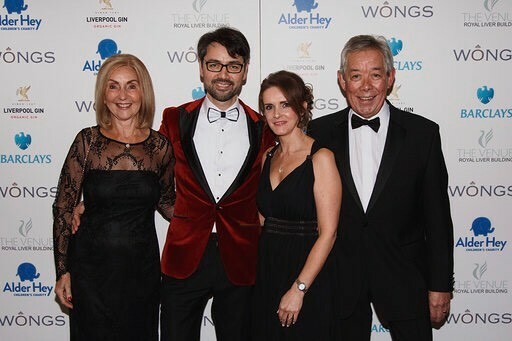 Last year the independent jeweller won the Decade of Excellence accolade at the Liverpool Awards hosted by Downtown Liverpool. Wongs focuses on traditional and bespoke jewels, and excels in customer service. While product wise Wongs stands out with the bespoke side of its business and workshop, which consumers can look through, it’s the friendly team that really stands out. “We get people tell us that we welcome anyone and it’s true,” says Wong. 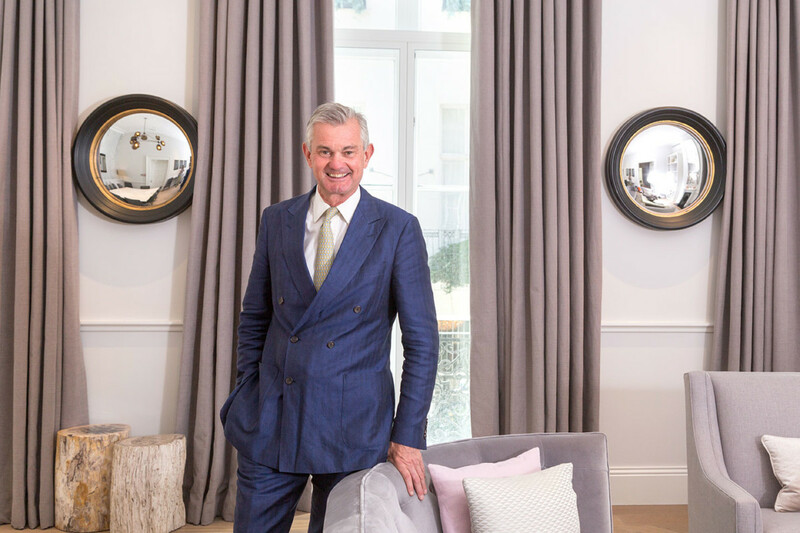 “And we really try and welcome everyone because when you’ve got a locked door policy and sell fine jewellery at a certain price point it can be intimidating for a lot of people and I think it is our job to make sure we are not that,” adds business manager, Aldridge. In addition, David M Robinson stocks its very own exclusive jewellery collections designed by Mr Robinson, and in Liverpool the retailer has a watch maker and master goldsmiths on the premises. This means small services can be done in house on the same day they are bought in. At Mococo, the customer is king, and customer service is second to none. 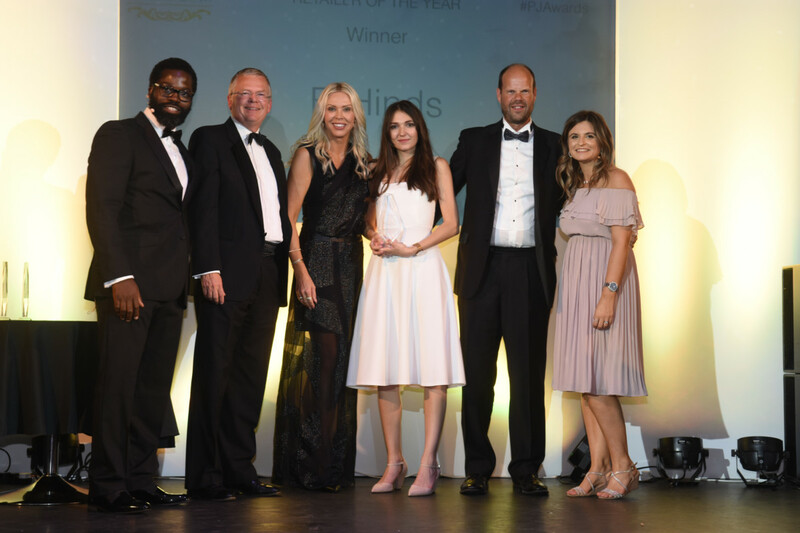 While the retailer is known for going the extra mile – placing each customer’s purchase in a luxury brand with tissue paper, chocolates and a Mococo product – last year the focus was on training staff on the entire customer journey from start to finish. In 2017, Mococo hired jewellery consultant Jo Henderson to help the company put together the Mococo Promise. 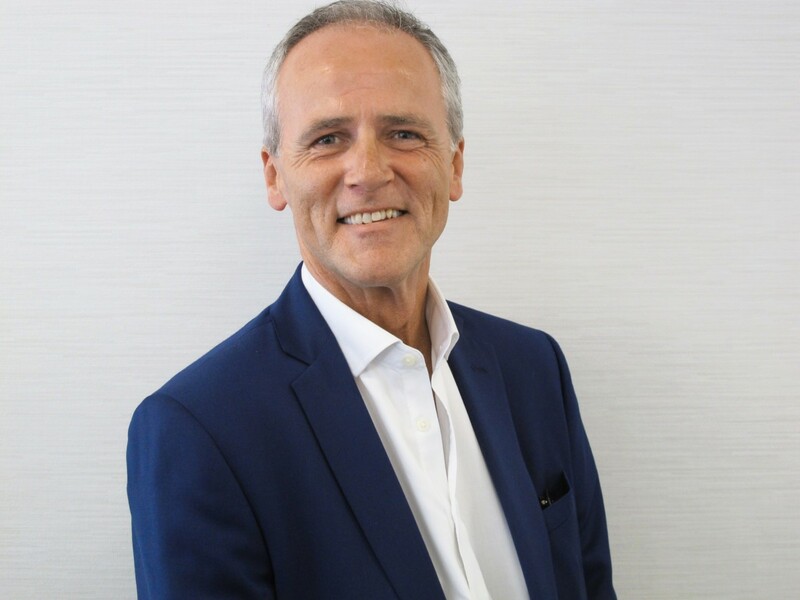 “All the store managers worked on the Mococo Promise, which is a six step training programme detailing what we should do from the minute a customer walks from the door, to wishing them well when they leave,” explains the jewellery retailer’s Liverpool store manager, Mark Kennedy. Maureen Hooson adds: “Jo Henderson was the catalyst of the whole of it but she empowered the managers, and we built it ourselves through her knowledge and help. 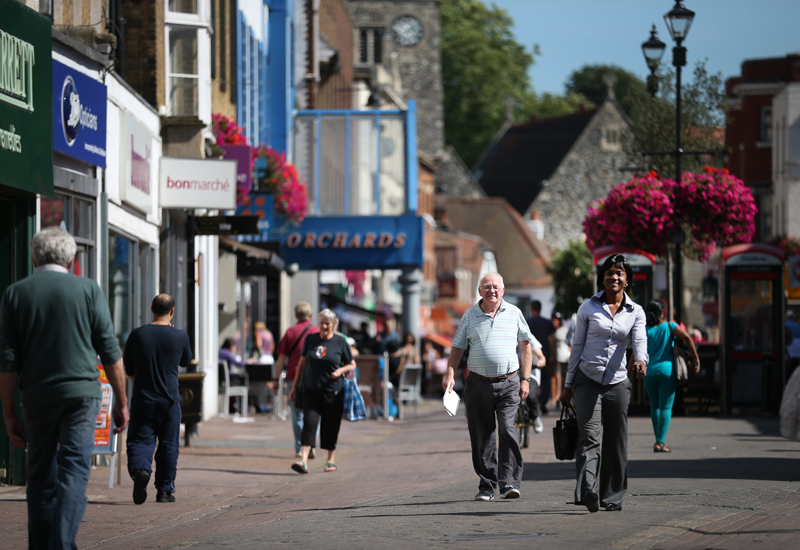 With every jewellery retailer striving to make customers feel welcome, it is little wonder the high street in the city remains busy, amid challenging retail conditions on a national level. 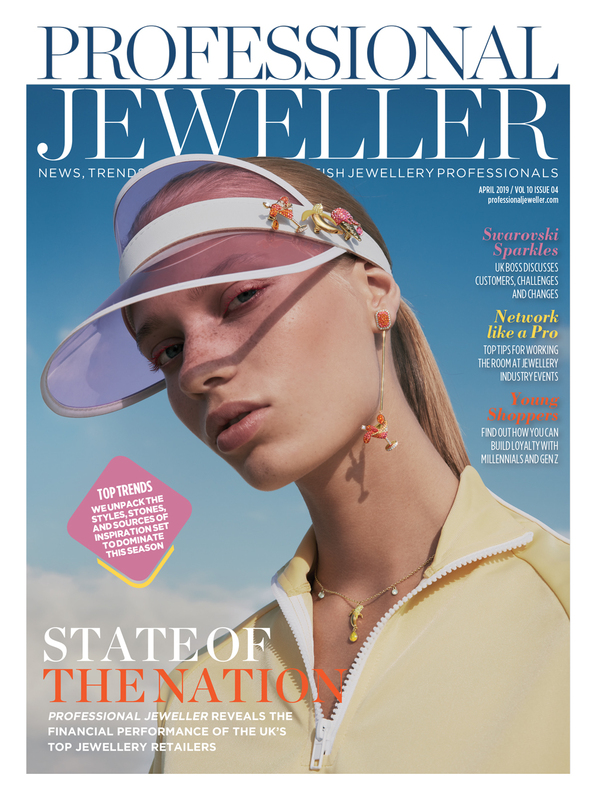 It doesn’t take long to realise every jeweller is passionate about its staff, customers, and products — a recipe which will surely serve them well for years to come.